Windows 10 is the long-awaited upgrade to Microsoft’s OS lineup. It was first released on July 29, 2015, and since then it has received dozens of essential updates. It’s just 50 million lines of sophisticated programming ( source ) that is going to run everything on your PC. And by everything I mean from managing user-friendly interactive interface to installing new applications. From automatically recognizing new hardwares connected to your system to automatically downloading compatible drivers for the new hardware. So, if you are one of those PC users who is still stuck on Microsoft’s earlier platform like Windows 7.1, you too can upgrade your system to this latest offering. Actually till last year Windows 10 was officially offered to users of MS 8 and 7.1 as a completely free upgrade. But if you have missed that opportunity, no worries, just download the Windows 10 ISO and install it to enjoy all the latest features. 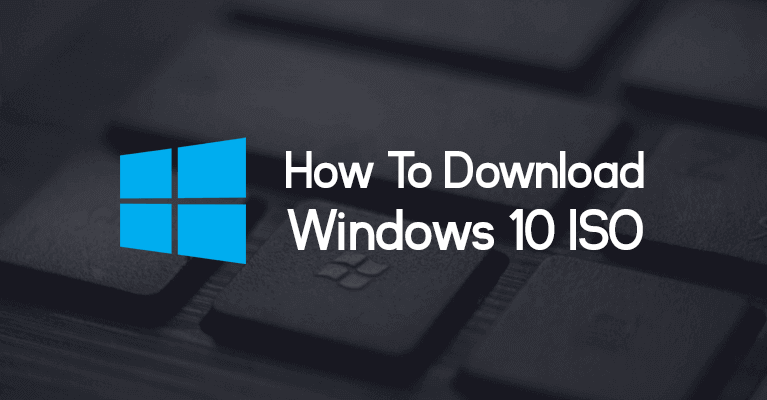 How to download Windows 10 ISO? Windows 10 is undoubtedly the smartest, fastest and possibly the most secure OS from Microsoft in recent years. It comes with super clean yet modern interface which allows you to do all those stuff you could do in previous versions but in a more managed manner. But the most crucial question is how to download and install it on your system. Well, its quite simple and there are two different ways to do so. 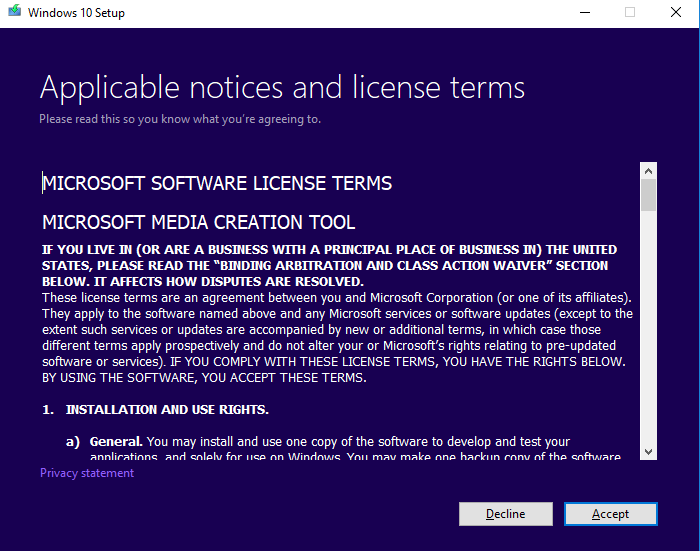 1st method is to download Windows 10 ISO manually, and the 2nd method involves using the Media Creation Tool. If you want to get a legal copy of Windows 10, then your only option is to download it from Microsoft’s official website. If you visit the official website from any of the Windows OS ( 7, 8 or 8.1 ), you won’t get any option to download the ISO file. You will only get an option to download a media installation tool. But there is one simple trick to bypass this page. Below I have listed out all steps along with an explanation. Please follow the steps one by one. 1: Open Google Chrome. If you don’t have it, then you need to first install it on your system. Click this link to download the latest version of Chrome. 2: Now navigate to this link in Chrome. 3: After the official page loads press ctrl + shift + I simultaneously on your keyboard. Alternatively, you can click on the three dots at the top right-hand side of Chrome. Now from the menu, put your cursor on “More Tools” and then from the sub-menu click on “Developer Tools”. 4: Click on the three dots ( just beside the close button ) on the “Developer Tools”. Now put your cursor on “More tools” and then select “Network conditions”. 6: Click on the “Custom” dropdown menu and then choose “Chrome — Mac” option. 7: Reload the page, and now you should be able to see “Select Edition” box. 8: Click on “Select Edition” dropdown menu and then choose “Windows 10”. 9: Now click on blue colored “Confirm” button. After a few seconds, you will get a direct download link of Windows 10 ISO from Microsoft. Note: This link will be valid only for 24 hours, and so it’s essential for you to download the file as soon as possible. If you use Internet Download Manager (IDM), you can use its resume functionality, but then you will need to regenerate the download link. If you don’t like reading and following steps, well, in that case, you can watch our 1-minute video. Media Creation Tool is an official download assistant from Microsoft. Once installed it helps you legally download and automatically install Windows 10 on your system. You can also use this tool to either upgrade your system to latest updates or to create bootable flash drive. I personally like creating bootable flash drive as it allows me to install the operating system whenever I want to repress my system. 1. Go to this link and then click on “download to now” button. 2. Download and run this application on your system. 3. Read all the policies properly listed under “Applicable notices and license terms” and then click on the “Accept” button. You will get a message saying “Getting a few things ready”. 4. After a few seconds, you will get a new options page with a message “What do you want to do?” along with two options. The first option being “Upgrade this PC now” and the second option will be “Create installation media” drive. 5. The choice is yours. If you choose the upgrade option, latest OS will be downloaded and installed automatically on your system. You will get the option to either have a completely fresh installation or to keep your personal files. If you choose the second option, then make sure you connect a thumb drive with at least 8GB of internal storage. There are lots of design and functionality related improvements you can experience only if you upgrade your system to Windows 10. I have listed out some of the most essential features below. The first thing that you will notice once you have downloaded and installed Windows 10 is its entirely new look. The start menu has returned which was a fan feature of previous models which has not been seen of late in more recent updates. The main start menu has also changed as in Windows 10 most of the screen clutter has been removed. Now you have the choice of being able to list all your apps at the click of the start menu button. Recently and most used apps will now display in the center of the screen giving you quicker and easier access to these items as presumably you use them more frequently. Cortana, which is Microsofts voiced controlled assistant is now available to serve you anytime you need her. You can access her through the search box which is located at the bottom of your screen, just to the right side of the start menu. You can interact with this AI-powered personal digital assistant either by type or by speaking your commands or questions. After Cortana analyses your command or question, she will take a few seconds ( depending on the complexity of your problem) and then will come back with an appropriate response. You can also ask Cortana to perform various tasks such as setting up a reminder on a specific date, reading out your latest emails, shutting down a system and much more. Remember that Cortana is an AI and she improves everytime you interact with her. So you may want to spend some time getting comfortable with this feature as it can seriously reduce your work time. All XBox Gamers embrace yourself to be mightily excited. Windows 10 will allow you to play any Xbox game you have previously purchased or of which you have a subscription on your PC or Microsoft Tablet. And yes, by having the ability to stream all of your gaming action on your home network. That is you can connect your system to your TV’s, other computers and whatever your home network is connected to. The upgraded Windows 10 also has what they refer to as the Action center. It’s an entirely new feature that will prompt all of your notifications from different apps and softwares on the right-hand side of the screen. The prompt window will slide out when you hold the action icon located at the very bottom, right-hand corner of the screen. If unpressed the action center will remain closed but will keep a tab of the number of new messages at the bottom of the screen. This rate little too keeps your screen free until you decide that you want to read your notifications. The newer system also includes a unified setting and control panel so that all settings are easily configurable and set out in a much more comfortable and cleaner method and the icons are better grouped making it much easier to alter the control settings on your panel. Should you upgrade to Windows 10 OS? There is a huge raft of features that come with the operating system. It may take you some time to get used to and become comfortable with the new look and feel of the screen, but once you do spend some time, you will be glad that you made the change and moved up to Microsoft’s latest offering. The very best thing is that this is a free upgrade ( ended December 31, 2017 ). It means if you have either the previous versions of 7 or Windows 8.1 and your device is legal and registered then you can download this update for free and can experience the features that Windows 10 has to offer. Thanks for the tutorial guys, really appreciate it. Now I don’t need to install media creation tool. I mean its not that I don’t want to follow the official way, but man it really hurts when you wait for 1 hour for the download to complete and then suddenly this media creation tool stops downloading and the only way to get the ISO is to start the download from the start.